From relative anonymity, global Filipinos Steven Paysu and Makoto Inoue continue their journey to stardom as they face all other grand finalists at the Huling Tapatan (final showdown) of the iconic Tawag ng Tanghalan sa “It’s Showtime” happening this June 2 and airing in most countries worldwide via The Filipino Channel (TFC). 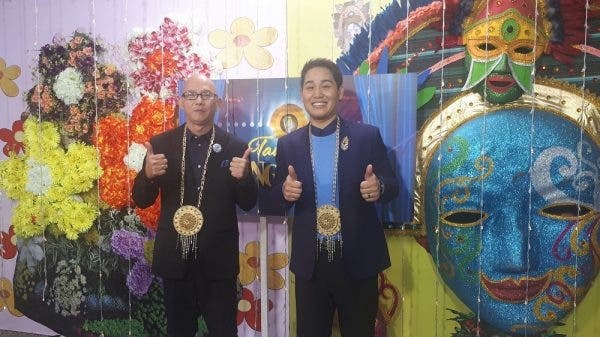 In December of last year, Paysu and Inoue became the first ever global representatives to advance to the grand finals of the widely watched Philippine variety show “It’s Showtime’s” iconic segment. Battling hundreds of aspirants from the auditions to the semi-final round, both eventually emerged victorious at the competition dubbed the “all-time favorite search for outstanding amateur talents”. Paysu first caught the attention of the judges for his unique performance on stage, stooping forward to emphasize his emotion over a song, a stage movement which the “It’s Showtime” hosts in one episode called as the anti-thesis to Asia’s Queen of Songs Pilita Corales’ backbend. Paysu, an American Red Cross lab technician could not contain his amazement, more so on how he, a former band member, has come this far to become someone who can arguably be called a household name. “Now, I get a lot of attention from our fellow Filipinos, also I have a lot of friends’ request on Facebook. People have been trying to reach out to me and my wife,” Paysu shares. What’s more important for Paysu is how his and wife Melanie’s story has changed his new friends’ lives. Paysu shared: “We were told that we were an inspiration to them. It’s a big blessing being a part of Tawag ng Tanghalan”. During one of the performances, judge Mitoy Yonting, former “The Voice of the Philippines” grand winner, reacted to Inoue’s performance in the form of five short words: “See you in the finals.” Truth be told, the public school teacher set out to become one of the two finalists and one of the global representatives to the prestigious competition’s grand finals. Catch the performances of Paysu and Inoue as they continue their journey on the Tawag ng Tanghalan stage this June on “It’s Showtime” via TFC’s various platforms worldwide (in most countries). Watch out for exciting twists and turns as the finalists’ slate gets completed on “It’s Showtime” with catch-up episodes also available on TFC’s online (www.TFC.tv) and IPTV platform. Who else will join Paysu (U.S.), Inoue (Japan), Tuko delos Reyes (Luzon), Sofronio Vasquez (Luzon), Jovany Satera (Mindanao), Alfred Relatado (Mindanao), Anton Antenorcruz (Luzon), and Remy Luntayao (Visayas) plus newly hailed grand finalists Janine Berdin and Reggie Tortugo (both from Visayas). 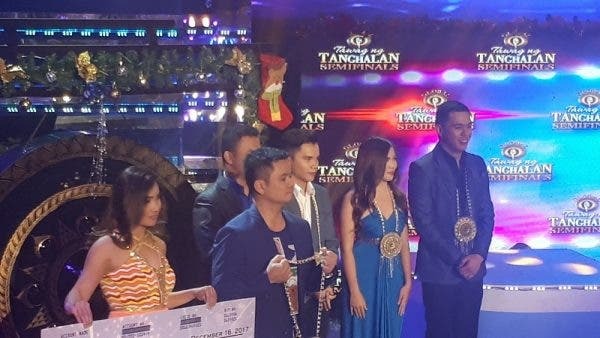 Who among the rest of the Ultimate Resbakers (wild card contestants) will join them after they are put together on stage by the current Tawag ng Tanghalan contestants in the ‘seat of power’ Lalainne Arana (Mindanao) and Ato Arman (Mindanao)? Will it be Aljun Alborme (Mindanao), Arbie Baula (Metro Manila), Christian Bahaya (Mindanao), Arabelle dela Cruz (Luzon), Mark Michael Garcia (Metro Manila), Boyet Onte (Luzon), Adelene Rabulan (Luzon), and John Raymundo (Metro Manila), and Aila Santos (Mindanao). Witness the breathtaking performances at Tawag ng Tanghalan sa “It’s Showtime” via TFC platforms worldwide. Catch the grand finals via livestreaming on TFC online (www.TFC.tv) from May 28 to June 2 (Manila time). For more updates on upcoming events, visit mytfc.com or the official TFC Facebook page in your area. Connect with fellow global Filipinos and follow KapamilyaTFC and KapamilyaGlobalPR.